Williams: "The UAW is going to support the Canadian auto workers." DETROIT — United Auto Workers President Dennis Williams said Sept. 13 his union will support Canada’s unionized autoworkers during contract talks with General Motors, but declined to say whether the UAW would refuse work at GM plants in the event of a Canadian strike. Williams said in an interview he believes GM and Jerry Dias, president of the Canadian union Unifor, will “come to a conclusion that's best for all parties” and hopes they can reach a new four-year contract without a strike. Dias and Unifor have threatened the strike of about 4,000 workers at GM plants in Ontario unless a new four-year contract is reached by Sept. 19. 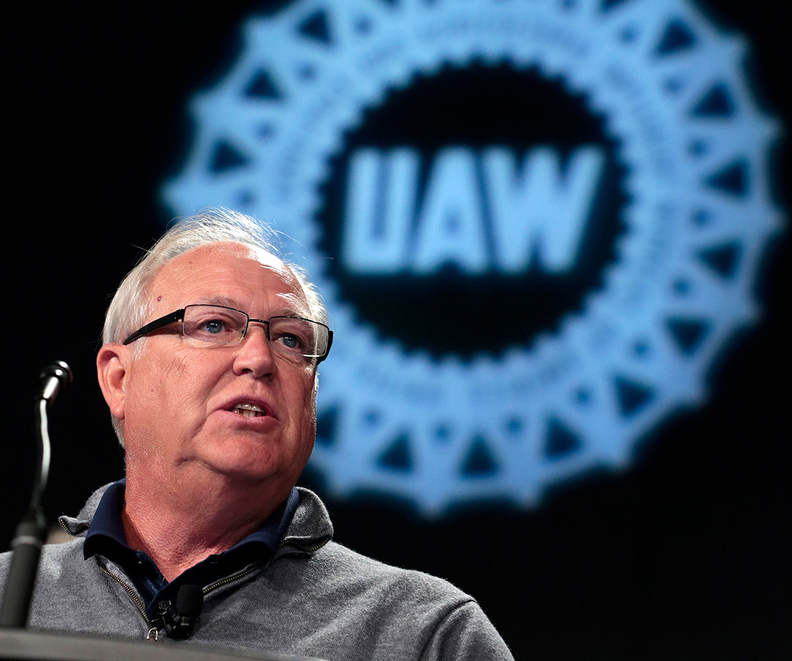 “The UAW is going to support the Canadian auto workers,” said Williams. Williams met with Dias on Sunday. A strike would have ripple effects at U.S. plants, particularly if Unifor workers walk off their jobs at an engine and transmission plant in St Catharines. Williams would not comment on whether the UAW would refuse extra work to make up for lost output if Unifor’s GM workers strike at two Ontario plants. “I don’t want to comment on that because I don’t know what it will bring us, but we’ll do whatever we can to help (Unifor) in any way we can,” Williams said. Existing contracts expire Sept. 19 for Canadian GM, Fiat Chrysler Automobiles and Ford Motor workers. Dias picked GM as its “strike target,” meaning the union will try to get a deal with GM and use it as an outline for deals at the others. Dias recently said he expected the UAW “would respect any action” Unifor takes and not replace production from GM’s St. Catharines factory. Buzz Hargrove, former president of Unifor’s predecessor, the Canadian Auto Workers, says he remembers how employees at GM’s Oshawa, Ont. plant refused to produce extra parts for the automaker during a 1998 UAW strike. “Given that history, I think that they (the UAW) would be reciprocal,” Hargrove said.